Both companies have experienced significant successes since last year’s show. CTS has expanded its operations, almost doubling its hire fleet, and also opened a brand-new depot in the Midlands to enhance its nationwide service capabilities. Contract hire, fleet and workshop management company, SFS, recently signed a new 10-year contract at Epsom & Ewell Borough Council after working with the authority for over 11 years. It has also welcomed new customers including a 6-year contract with Spelthorne Borough Council and a 7-year contract with Caerphilly County Borough Council comprising the provision of over 350 vehicles – the Authority’s biggest ever fleet procurement exercise. 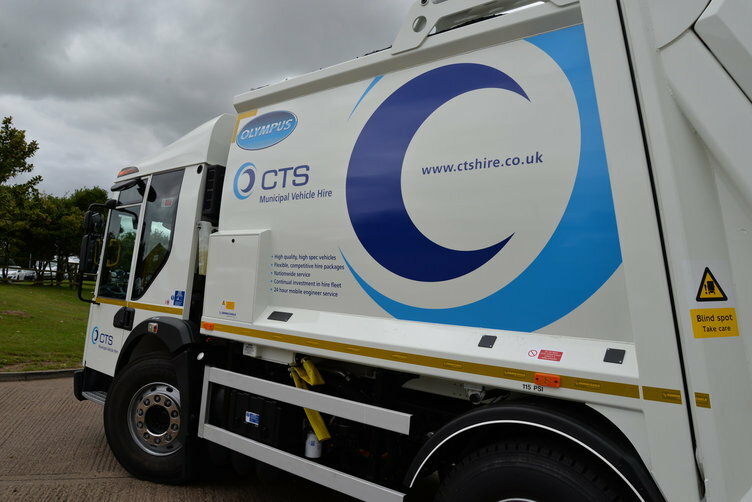 CTS provides flexible and competitive municipal and specialist vehicle hire services for the short or long-term. The company stocks a wide range of municipal vehicles of all different makes, models, sizes and specifications and has increased its hire fleet to nearly 200 vehicles in the past 12 months. The vehicles range from 3.5t to 32t Refuse Collection Vehicles (RCV’s), specialist recycling vehicles and self-drive hire sweepers to hook loaders, skip loaders and caged tippers. The fleet is supported by a 24/7 breakdown & recovery service, and a team of mobile engineers, as well as a network of nationwide workshops and service agents. The Rt. Hon Andrea Leadsom MP (South Northamptonshire), marked the opening of the new CTS depot in Brackley in the Midlands in December 2016.